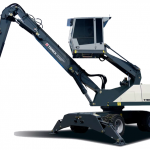 Waste handling professionals rely on the TWH226 waste handler machine because its flexibility and speed are ideal for the recycling business. 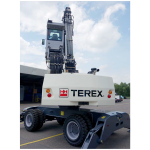 Its reliability, vertically-movable cab and high-lifting capacities throughout the entire working range make machine operators ready for any challenge. 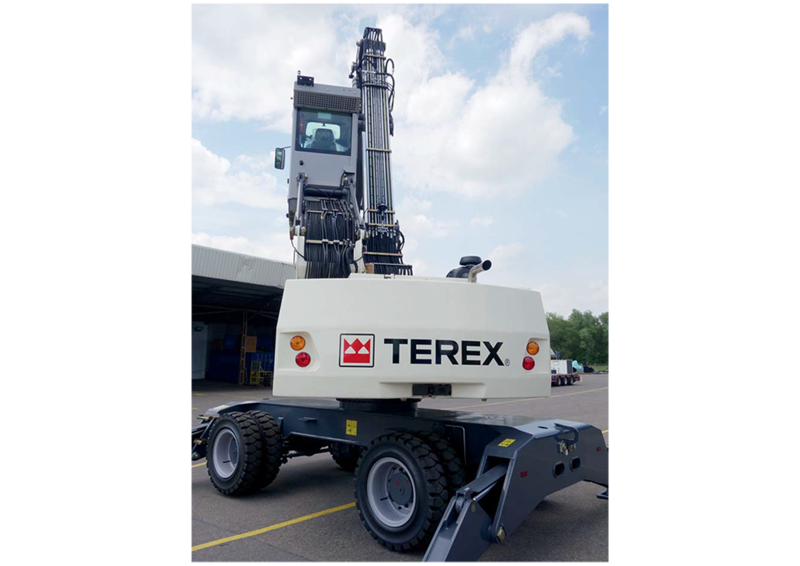 Its solid undercarriage ensures stability when heavy tonne-loads are to be handled, utilizing a reach of up to 10.7 meters. So that in such situations neither speed nor precision is compromised, slewing motors and slewing gears are minutely adjusted and the lifting and stick cylinders equipped with special end-position damping. The TWH226 uses state-of-the-art engine and cooling technology. The divided cooling system, comprising of a hydrostatically driven fan for the oil cooler and a viscous-clutch driven fan for the water and charge air cooler, provides superior, silent cooling and permits operation of the machine at temperatures as high as 50°C (122°F). Options such as additional suction boxes or a pressurized cabin system are provided to facilitate operation in the sorting hall. The clean and quiet 115 kW (154 hp) EEC IV compliant turbo diesel engine conforms to exhaust emission standards stipulated for Tier IV engines (EU Stage IIIB/ EPA Tier 4 interim) and when used in an indoor setting produces only minimal noise pollution and emissions. 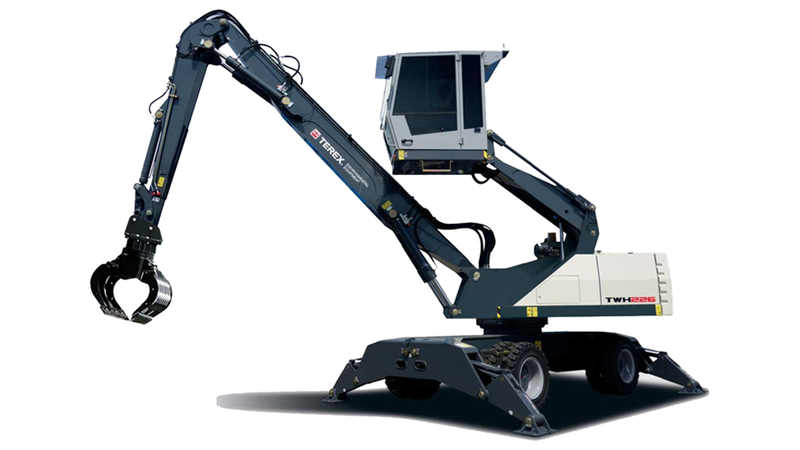 Ergonomics and occupational safety are central to the Terex® Environmental Equipment perspective. Optimal visibility is afforded both by the lifting cab with its panoramic windows and by the state-of-the- art function monitor, which permits comprehensive surveillance of all operating data. Ergonomically arranged operational controls and a comfortable seat that provides lumbar support are components of the basic equipment. 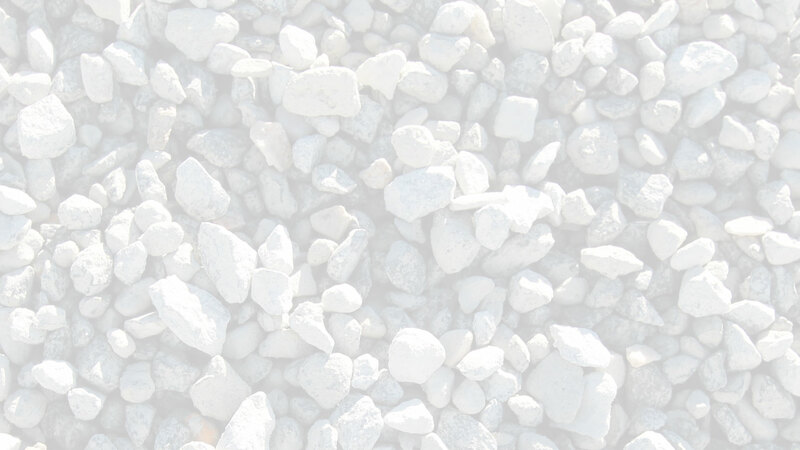 Important components are easily accessible from the service platform. Comfortable access to the upper carriage platform is provided from both sides, which makes maintenance work easy. Separate cooling system, easily accessible from ground level, for the hydraulic oil and engine combine excellent cooling power with quiet performance and efficient thermostatic control.